Office decor might not appear to be a big task for you, but trust us, your workplace, home or outside, if not integrated with the right ambiance can lessen the degree of work output (Why do you think we are so efficient and regular with our work :p). 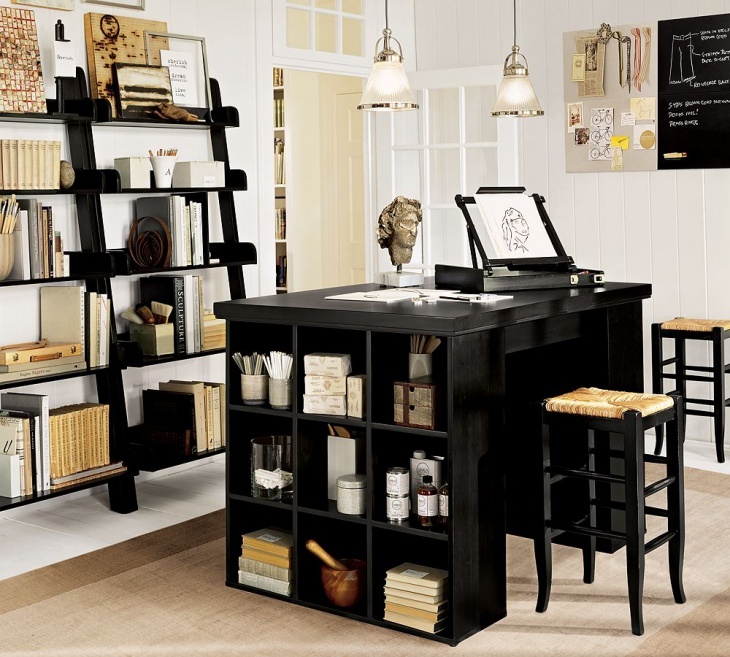 Now, designing a home office is not a uniform task, someone can like a simple sober decor while others would want to go for a vibrant crazy look. Either way, we are here to help you with the basics of designing any workplace be it crazy, sober or colorful. 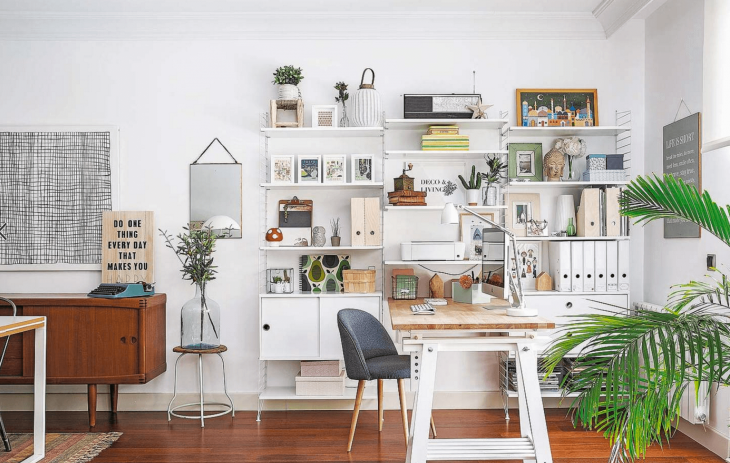 We have compiled a list of 5 ideas and areas you need to focus on while creating a perfect home office, that is functional and most probably will pump out the best and efficient ideas (fingers crossed). Creating focus areas in the workplace can help you keep everything organized. Consider and list down all the activities you would want to achieve in your office. For example, you would want a desk to compile and tackle the paperwork, and some seating arrangement to have group discussions. Likewise prepare separate areas for a wide variety of tasks. This will just make your life a bit more efficient, remember clutter brings the crazy out (not in a good way, though). If you have multiple family members who need to share the space, allot a separate space to each individual for keeping things organized and private. Now, in reference to the point mentioned above, if you are someone who strongly associates to being buried under clutter, we suggest you to have plenty of storage space available. The storage will again help you assign areas for every different set of work. You can have cabinets or built-in ideal for storing larger items. Open shelves can be a great addition for storing the decor elements and functional items. We are all aware of the strong relation between the color and its impact on our moods. If you are not aware and want to experience it practically, we suggest you an experiment, paint your entire room in red and let the fun begin. So, the color theory does not just apply to the house but also to the office decor. Choosing the neutral shades helps to keep the mood calm and also make the room look spacious. If you feel painting the entire office in neutral shade is making the entire look dull, you can choose to incorporate punches of color as per your preference. Remember to keep it minimal and energentic at the same time. 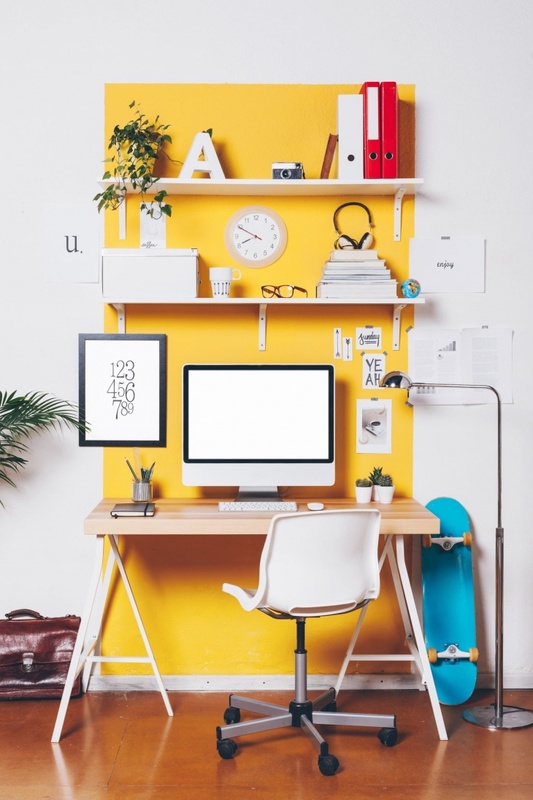 It is important to make your office look professional and organized but don’t forget to add some decor elements to make your office appealing and comfortable place to work in. Try and add pieces of wall art that match and reflect your personal taste. 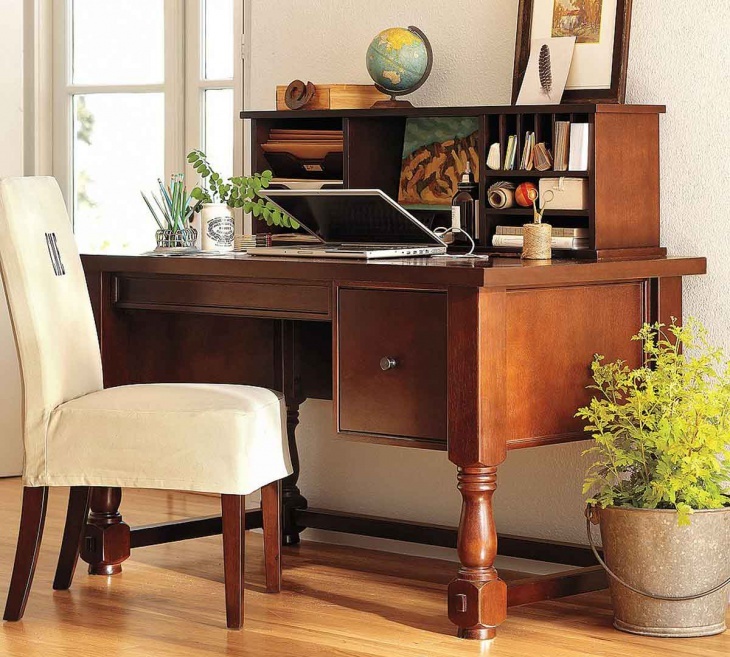 Let your personal items define the look of your office. Mix and match the decor items while making sure to keep them in accordance with the theme of your office. An edgy look might be worthy of experiment in your home but tread carefully in the office decor. Several researches conducted have shown that natural light in professional spaces have enhanced the employee prodcutivity and had a positive impact on the overall performace and outlook. So, find a way to incorporate the bright natural outdoors in your office space as well. Whenever it is possible make sure to include enough windows as an integral part of design. 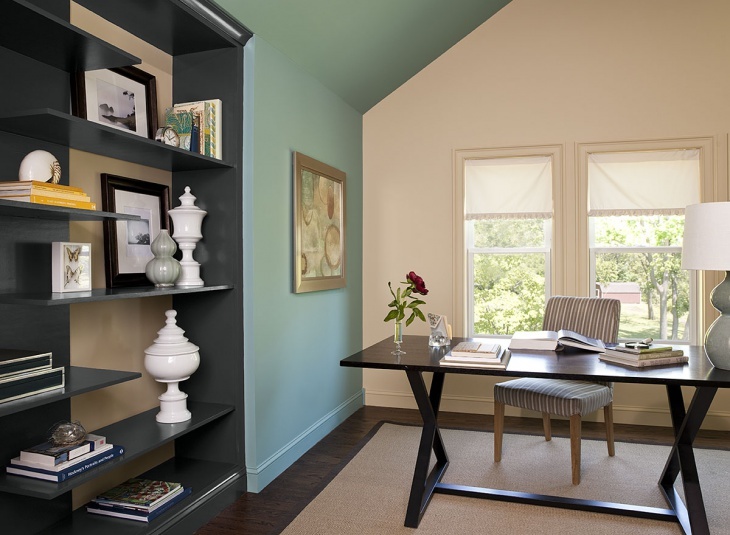 Try and place the desk below the windowsill and choose transluscent blinds. If you wish to, you can include many more natural elements in your office design and space. If you are a nature lover, and greenery gives you peace, include fresh plants and flowers. This additoin can be your own personal stress buster and performance booster. Office is a place where you spend a large part of your day, so make sure to include all the necessary elements that not just keep you motivated but also organized and efficient. Having a home office gives you liberty to design it as per your own preference and taste, take advantage of this situation and work towards optimum performance and maximum results.